Blanche, the old lady you keep throwing at your opponent when playing on the Outworld Marketplace stage in Mortal Kombat X, is back with a vengeance. 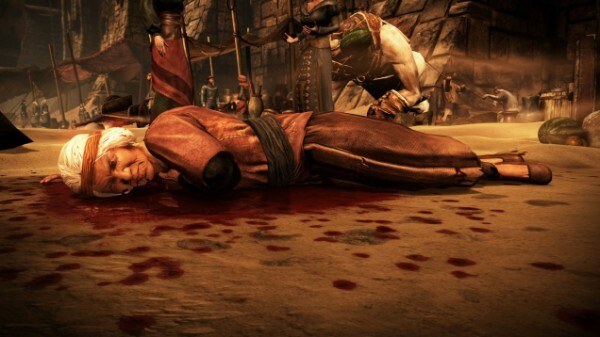 Mortal Kombat X introduced a number of new characters to the series. Almost all of them got the proper introduction, except for this little old lady. During the game’s launch week, everyone was raving about an easy achievement that required players to use the old lady in the background of the Outworld Marketplace stage as an intractable, throwing her at their opponents and killing her in the process. Upon doing so, the achievement ‘Blanche Advantage’ would unlock, revealing the resilient senior’s name. In the game’s recent patch, it was discovered that Blanche is now the star of her own brutality. In order to pull it off, you must use two intractables during the match, and finish it off by throwing her at your opponent.